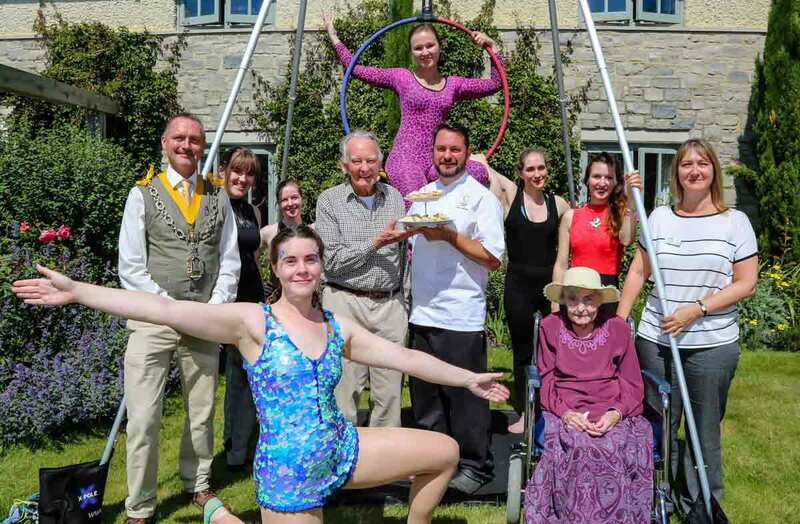 The acrobatic show by Stephanie Jolliffe and fellow performers at Poole-based Secret Circus proved a real hit with onlookers from Castle View care home gathered for the annual party in aid of charity. Among the party guests was the Mayor of Dorchester, David Taylor, on one of his first official engagements since his mayor-making ceremony at the Corn Exchange in May. The event held at the Colten Care’s home raised more than £150 for Castle View’s chosen charity this year, Hearing Dogs for the Deaf.